There’s nothing like feeling the energy of the Salmon River beneath you with a paddle in your hand. Also known as The River of No Return, it has been challenging and inspiring adventurers for decades. If you’d like to take on the Salmon River, we recommend going with an expert guide like The River Company in Idaho. No matter what level you consider yourself to be, they will make sure you have a great time on your journey! If you’re looking for more adventures like excursions with The River Company in Idaho, you have come to the right place. Triangle C Cabins was built with the adventurer in mind, so we created this free Adventure Guide to help you plan your trip! We know that preparing for your getaway can be challenging and time-consuming, so we created this complimentary guide to save you from hours of research. Get your copy today! When you hit the water with The River Company in Idaho, it is their goal to give you the best time possible. They understand that the beauty of the surrounding mountains and the power of the water is enough to have pure fun no matter what age you are. Whether you are 4 years old or 40, you will be in good hands. The Family Trip with Lunch has been designed to be enjoyed by all ages! Take the kids to see the beauty of Central Idaho on a trip of a lifetime. You’ll encounter the perfect balance of rushing whitewater and calm spots! The whole time, you will get to enjoy your guide tell you all about the area. If you consider yourself a foodie, the best part of the entire trip is the lunch prepared by their expert chef. Indulge in dishes like chicken a la king with sides like homemade chips and salsa or fresh bread. You’ll be hungry after all that rafting! The Straight Shot was designed for those that want to raft but for a shorter amount of time. This is the perfect way to get your feet wet and give it a try! The expert guides will take you through the rapids in 3-4 hours while telling you about the history and makeup of the famous Salmon River. 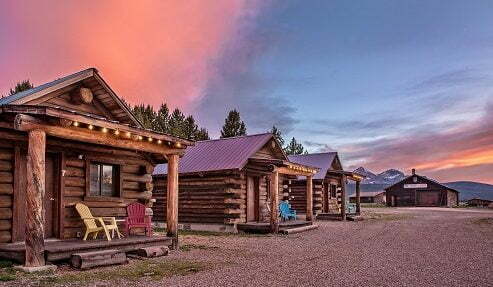 On this trip, you’ll even get to see the famous singer Carole King’s wilderness ranch! 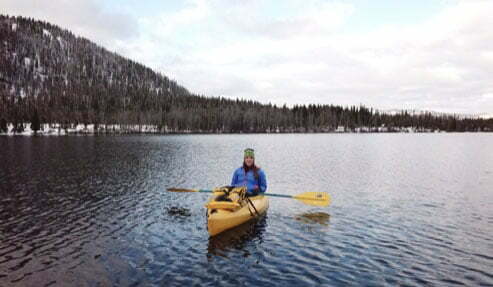 The Salmon River goes on for miles; it can be challenging to go fishing there on your own. We recommend going with an expert! The guides at The River Company in Idaho know all the best spots to cast your line. On your Float Fishing Trip, two guests and a guide can go out on specially designed crafts to cast their line sitting or standing. If you’d like to go on the Class IV Adventures trip, you have to be at least 14 years old and in moderate physical condition since the trip requires effort to ensure safety. You’ll get outfitted with wetsuits, booties, jackets, and helmets, then you’re ready to go and enjoy the Class 4 rapids! If you’re looking to seek some thrills, this is the perfect trip for you. If you are wary about rafting or just want to relax, you will love the Scenic Floats. There is no classified whitewater during this trip, just gentle rifles. You get to sit back and enjoy the scenery as you float peacefully through the Stanley Basin or upper canyon! It’s time to book your adventure! Triangle C Cabins is the perfect home base for exploring Stanley and beyond. Add our Whitewater Rafting Bundle to your trip or go with an expert guide like The River Company in Idaho. 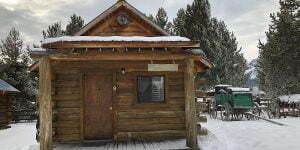 Browse our cozy cabins, then book your stay!